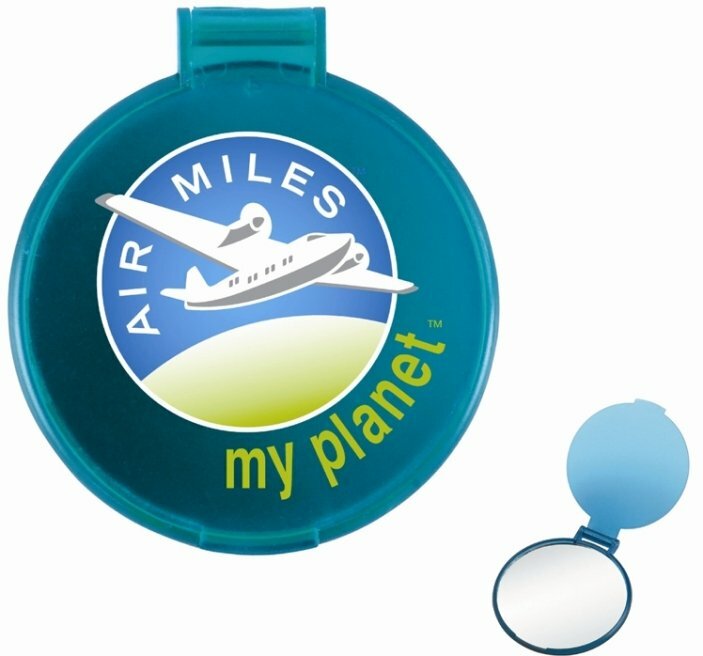 Get your logo printed on travel care Round Mirrors for promotional products. tourist attractions, women's related marketing and advertising. Features include plastic construction and translucent colors. Overall size of the mirror is approx. 2 1/2 diameter. Price includes almost unlimited print colors in area 2 1/16" diameter. I own 3 ladies fashions stores and wanted to advertise. I did not want to spend a lot of money but wanted something that would be used by our clientele. I found quite a few things on the website that would be appropriate and settled on these round mirrors. Needless to say when they were delivered I was thrilled with the finished product. Thank you so much. I will be back to order something else to please my clients.